The maison presented the new collections during the exclusive fashion show event reseverd to the top clients and press, at Officina Del Sole Wine Relais. 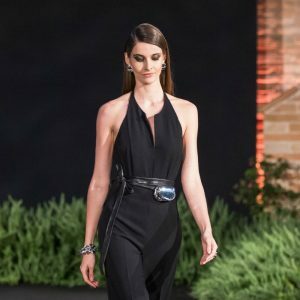 Mode, elegance, femininity and glamour, these are the key words of the Pianegonda catwalk held on 23rd June at Officina Del Sole, the wine relais of the Beleggia’s Family. An exlusive event reserved to the top clients and Italian press started with an happy hour into the top of the hill overviewing the surrounding landscape. A magical view enchanted the guests with a music solo violin player. 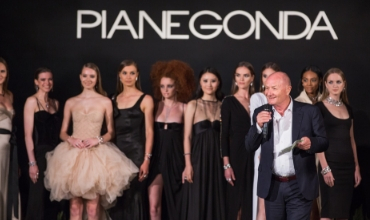 12 models walked the catwalk with the modern design of Pianegonda jewels, style icon of the italian silver jewelry. Unique stones with unique design are the elements of the new collection of Pianegonda, that draw inspiration from contemporary architecture and geometrical shapes of the nature. A perfect combination of manufacturing tradition, artistic originality and modern design for women. The President, Lanfranco Beleggia, welcomed the Clients, the Press and the Designer and introduced his sons Maurizio, Head of Marketing, Valerio Head of Product development and Beatrice in charge of press and communication. After the runway, the party ended up with a great gala dinner and spectacular fireworks at the Officina Del Sole.